This entry was posted in "Thanks A Million", Bliss!, Generosities, Hotter Than That, Ideal Places, Irreplaceable, It's All True, Jazz Titans, Mmmmmmmmmmmmm!, Pay Attention!, Swing You Cats!, That Was Fun!, The Heroes Among Us, The Real Thing, The Things We Love, Wow! 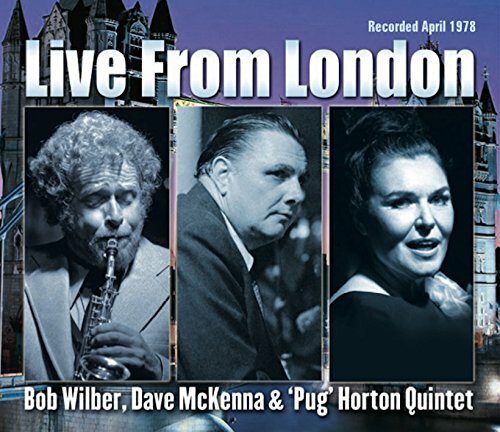 and tagged Barney Bigard, Benny Goodman, Bessie Smith, Bob Wilber, Buck Clayton, classic jazz, Dave Bennett, Dave McKenna, Derek Hogg, Irv Kratka, Ivie Anderson, Jazz Lives, Johnny Hodges, LIVE FROM LONDON, Michael Steinman, Pizza Express, Pug Horton, Ron Rubin, Sidney Bechet, swing. Bookmark the permalink. Please send me again details of your business card which has disappeared from my wallet. Have another dozen new releases I¹ve like to send to you which I know will prove of great interest. Thanks for this wonderful review of this new release. Do you have the Glenn Zottola Clifford Brown dedicated album?